In OSI model & Its layers we had some words (HTTP & HTTPS, FTP & SMTP, TCP & UDP, IP & ICMP). Let's Explore what exactly are these. 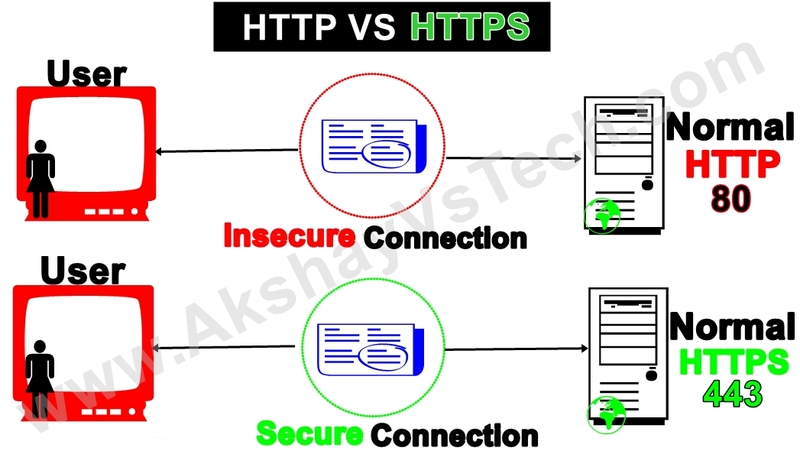 What is HTTP & HTTPS? Explained. HTTP is a Hyper Text Transfer Protocol(Port No.80). This protocol comes into Application Layer of OSI model & Its layers. The protocol over which data is sent between the browser and the website you are connected but HTTP protocol is not a secured protocol means the data which browser is receiving sent by the website or vice-versa is not encrypted. Web browsers such as Internet Explorer, Chrome, Firefox, etc. even shows a padlock icon in the address bar to visually indicate that a HTTP connection is in effect. HTTPS is a Hyper Text Transfer Protocol Secure(PortNo.443). This protocol also comes into Application Layer of OSI model & Its layers. It is a upgraded version of HTTP. 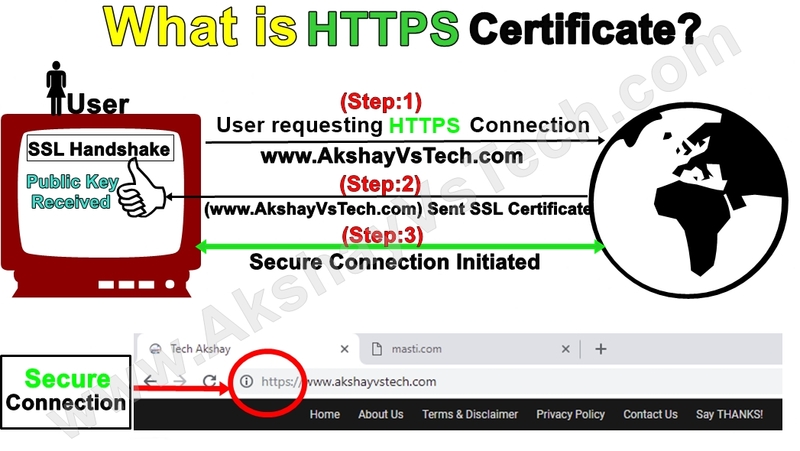 The protocol over which data is sent between the browser and the website you are connected but HTTPS protocol is a secured protocol means the data which browser is receiving sent by the website or vice-versa is encrypted. Web browsers such as Internet Explorer, Chrome, Firefox, etc. even shows a padlock icon in the address bar to visually indicate that a HTTPS connection is in effect. HTTPS pages use one of the two protocol to encrypt communications-SSL(Secure Socket Layer) & TLS(Transport Layer Security).Both SSL and TLS protocols use what is known as an 'asymmetric' Public Key Infrastructure(PKI) system. An asymmetric system uses two 'keys' to encrypt communication, a "Public key" & a "Private key". Any file encrypted with the Public key can only be decrypt by the Private key & vice-versa. When you request HTTPS connection to a Webpage, the website will initially send its SSL certificate to your browser. This certificate contains a public key needed to begin the secure session. Based on Initial exchange, your browser & website initiate the 'SSL handshake'. The 'SSL handshake' involves the generation of shared secrets to establish a uniquely secure connection between yourself & the website. Why SSL Certificate is required? All communications are sent over regular HTTP connections are in 'Plain Text' and can be read by any intruder or hacker that brings break into a connection between your browser & the website. It can be even danger when any highly confidential communication is going on like Credit Card Transactions or any bank related transactions, With HTTPS all communications are securely encrypted. This mean if someone even try to break the connection or try to read data between your browser & the website, They will not be able to decrypt any of data which is passing between your browser & the website. 1. Customer information, like credit card numbers or any bank details are encrypted. 2. Visitors can verify you are a registered business and you own the domain. 3. Customers are more likely to trust & complete purchases from sites that use HTTPS. 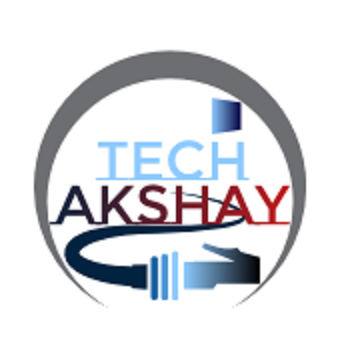 I hope Friends Information Given Above was Useful, If it was So please Don't Forget to hit the Like us on FB and SUBSCRIBE for latest upcoming stuff. Its really Motivates me to make more stuff for you.